The author Christopher Hitchens called tombstones "stone buoys that mark a drowned world", and that's likely why I find them appealing. They fit well within the theme of my work. 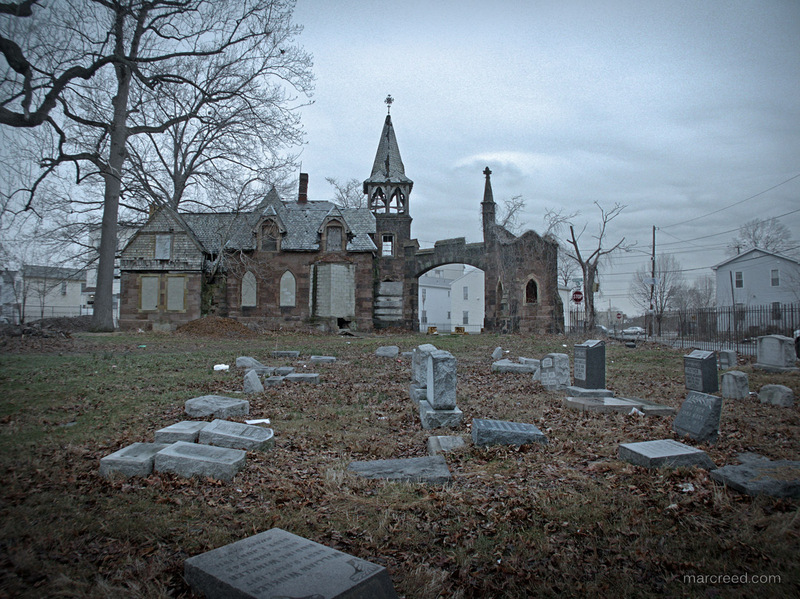 Most of my videos are of lost and forgotten places, and while visiting these places I have often pondered the people that once inhabited them. Who were they... where are they? To a large extent they are here. These are the inhabitants of my "drowned worlds". 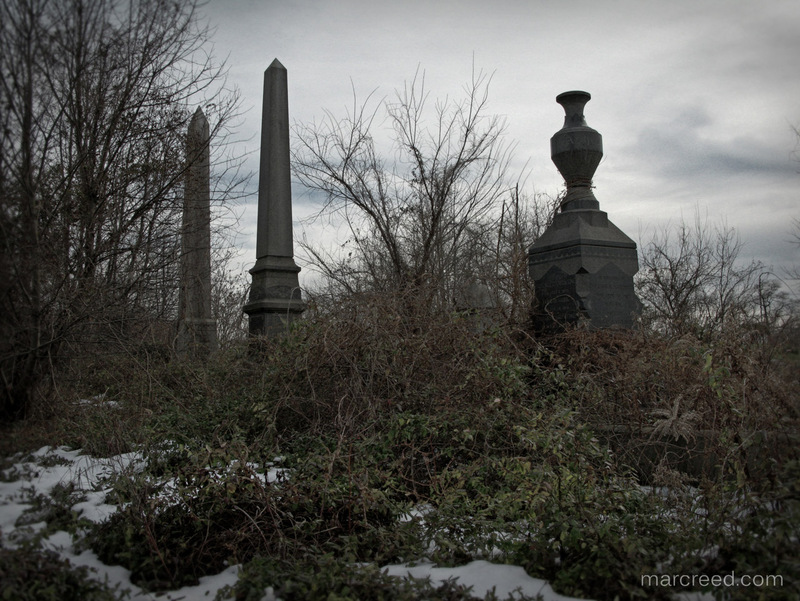 The visuals of upright tombstones starkly juxtaposed against angry skies begged me to dust off my time lapse rigs. As I mentioned in my Fonthill post, shooting time-lapse video as opposed to straight video is akin to filling a bucket with a dripping faucet as opposed to a hose. Depending on your settings, ten seconds of footage requires roughly an hour of shooting. Point being I spent a lot of time last winter hanging around cemeteries. 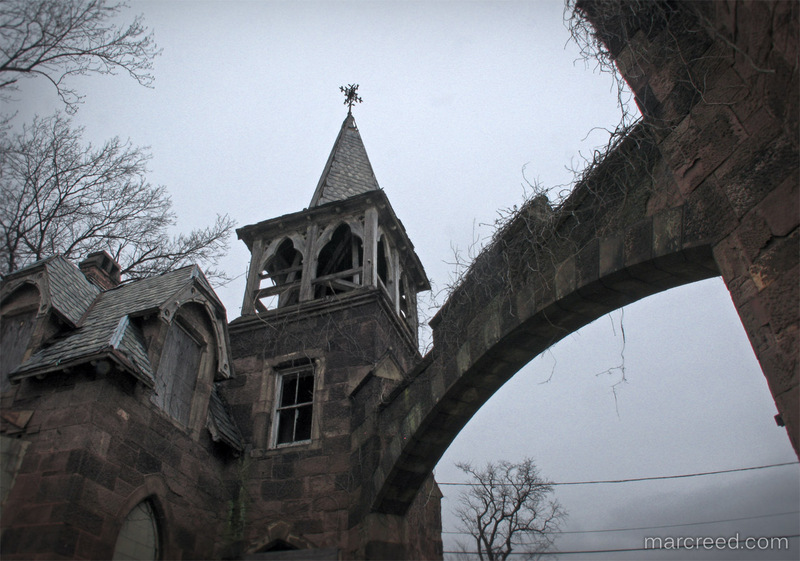 I would set up my timelapse cameras and allow them to click away as I wandered the grounds. After some time of this it became apparent to me that the American Cemetery is well beyond it's "golden age". The mathematics of every person having an 8' x 4' final resting place is catching up with us and the local cemeteries and churchyards are getting full. 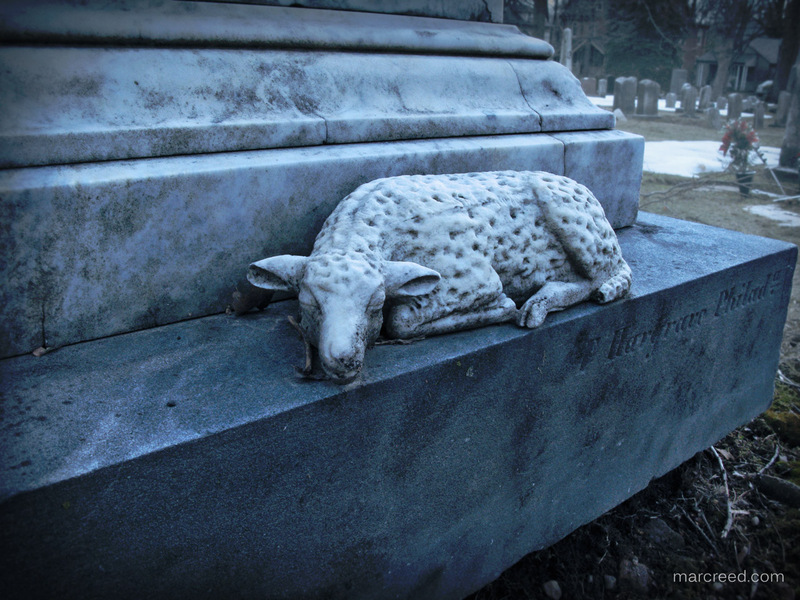 Burial is inefficient and expensive so the practice of cremation has grown to capture nearly 50% of the current American "death care" market. 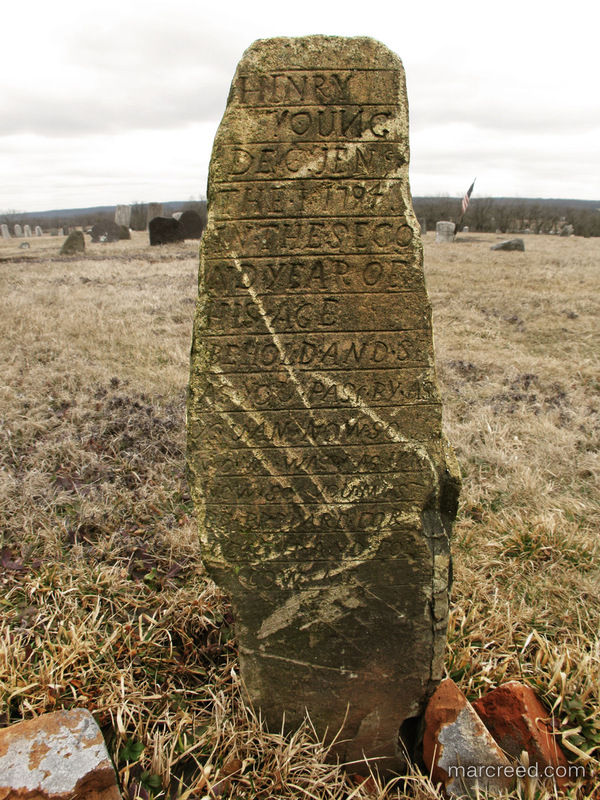 So it seems that cemeteries themselves are taking a place among the abandoned steel mills and coal mines of America: soon-to-be obsolete reminders of our collective yesteryear. 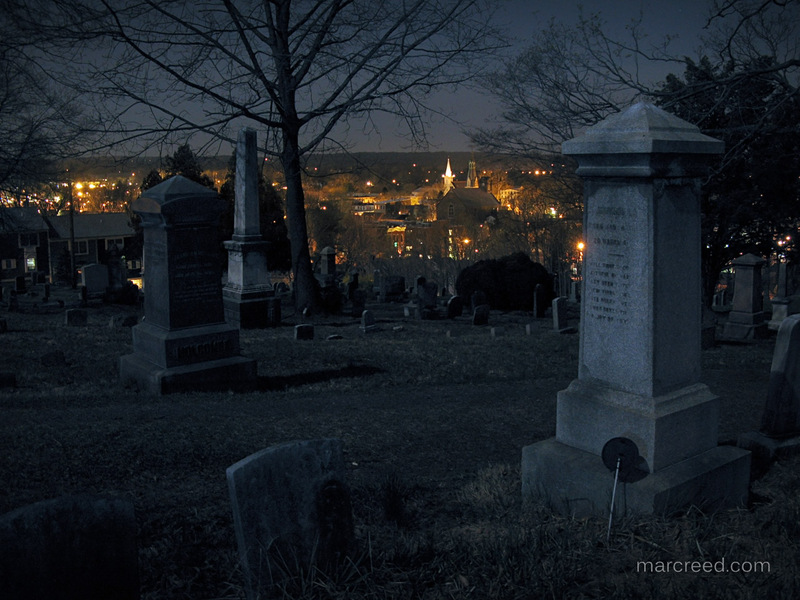 All the time I spent last winter wandering those cemeteries led me back to the same thoughts and questions I always get while biding my time waiting for a timelapse sequence to finish: What am I doing here? The painter in me says I really should be spending that time painting. Naturally, the father in me says I should be spending that time with my children (actually I did drag them along on many of my cemetery trips). I came to the conclusion (as I have before): This will be the last of my video projects! ...Well, maybe it will and maybe it won't. If I do continue making videos it will have to be different. How many of these sad little video vignettes can anybody stand to watch? Nine seems like a good number to go out on and you couldn't pick a better theme for a final piece. As usual, I snapped a few pics along the way. Enjoy and thanks for watching! I returned to Riverview 3 times to capture a short timelapse with this angel, and 3 times it begain to rain before I was finished, although on the third time I did capture enough frames for its short appearance in my video. 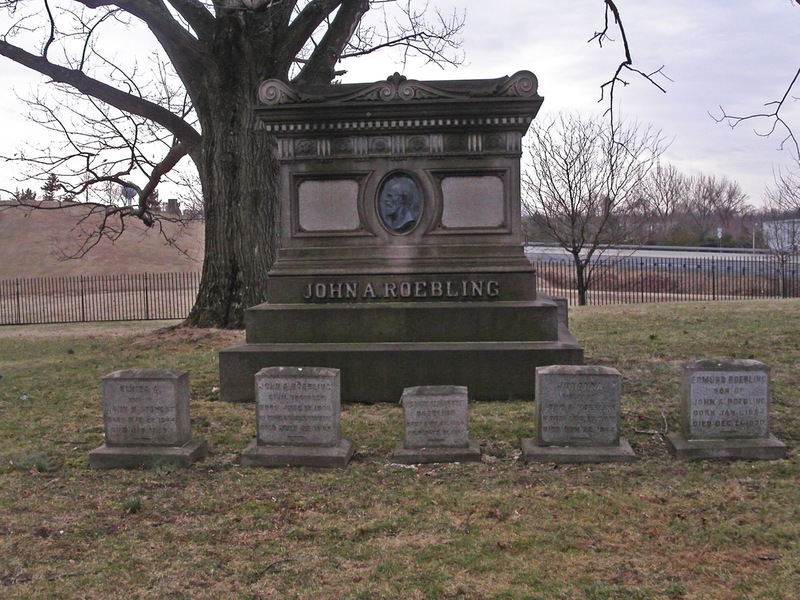 Riverside Cemetery in Trenton contains many of Trenton, NJ's notable citizens such as famous NJ steel magnate John Roebling. 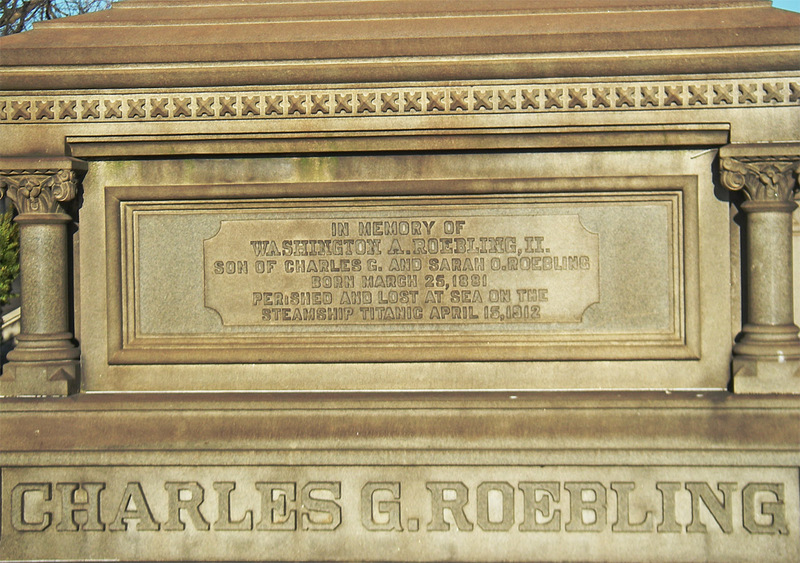 Trenton steel magnate John Roebling's grandson Washington Augustus was 31 when he died aboard the Titanic. According to witnesses, he was last seen helping women and children aboard the lifeboats. 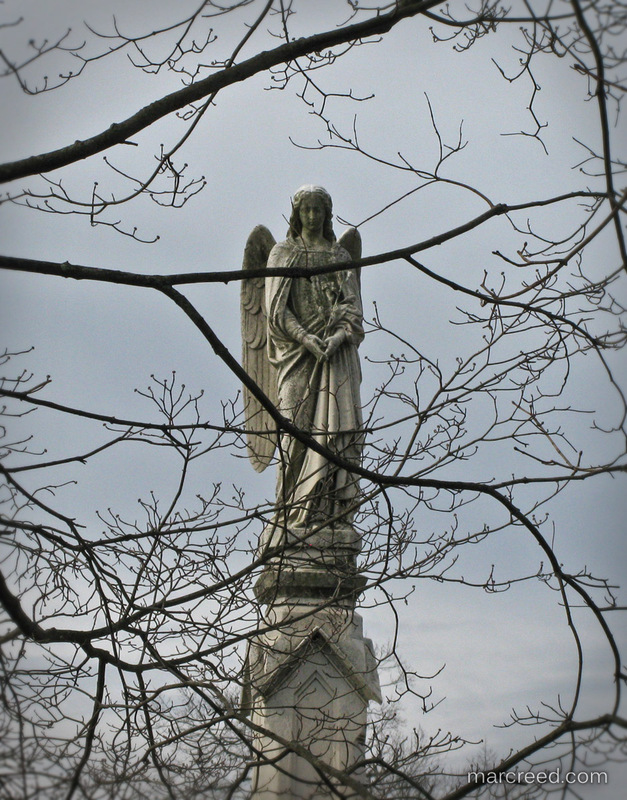 This monument is located in Trenton's Riverview Cemetery. 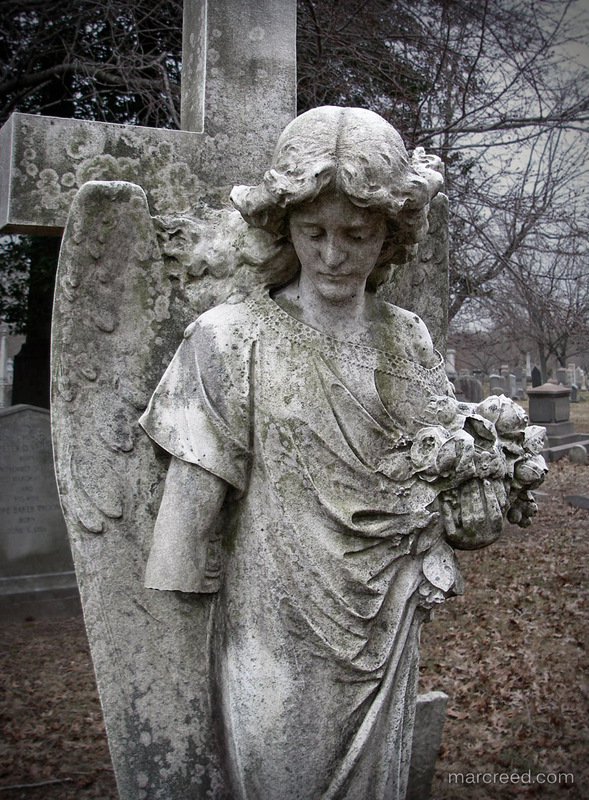 This statue was once mounted above Moriah's gateway arch, but was later purchased by John H. Jones who arranged to have it placed atop his own grave behind the gatehouse. 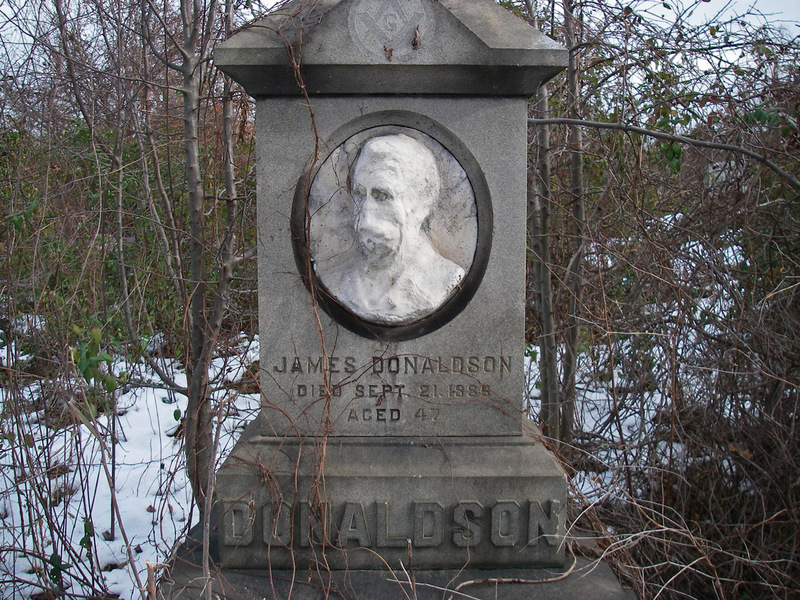 The elements have not been kind to James Donaldson's likeness carved in relief on his tombstone in Philadelphia's Mount Moriah cemetery. 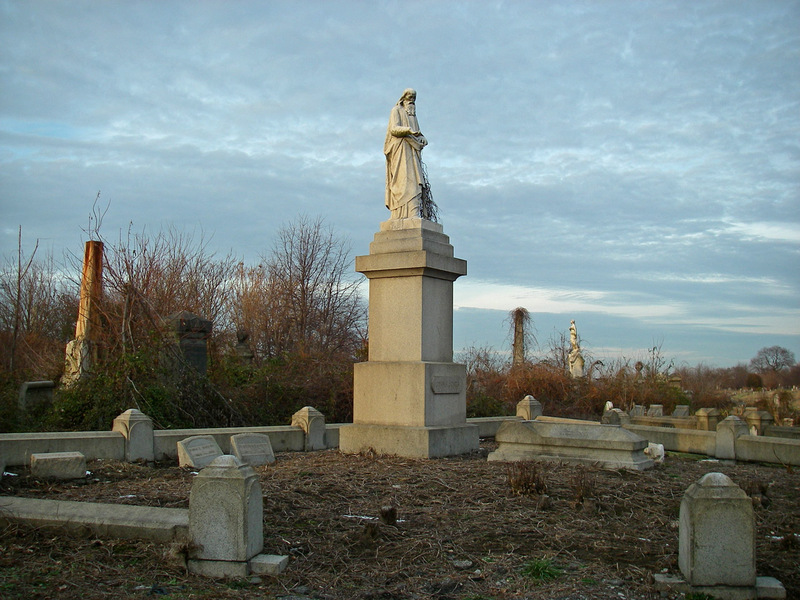 For decades, Philadelphia's historic Mount Moriah Cemetery had been neglected and many graves became covered beneath the undergrowth and trees. 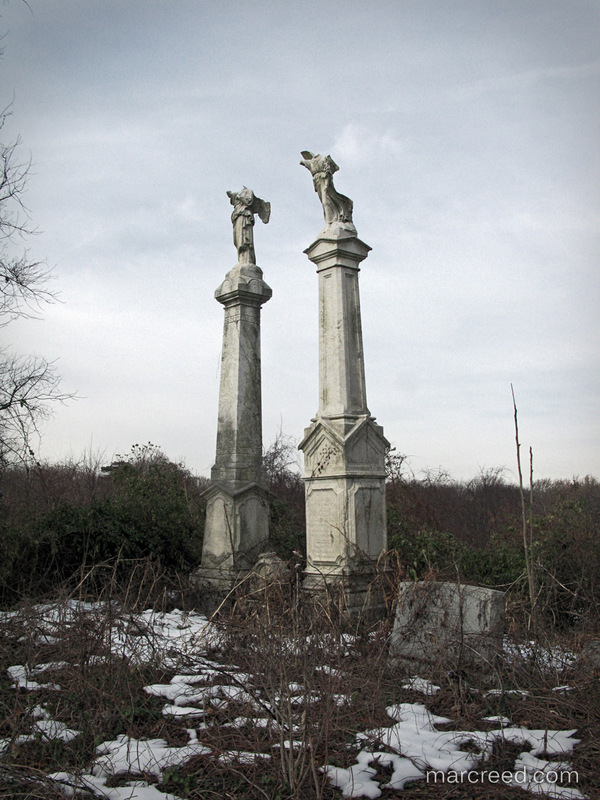 Today, the Friends of Mount Moriah maintains the cemetery and is working hard to clean up many of the overgrown areas. But as of this writing, many fascinating scenes such as this one still exist there. 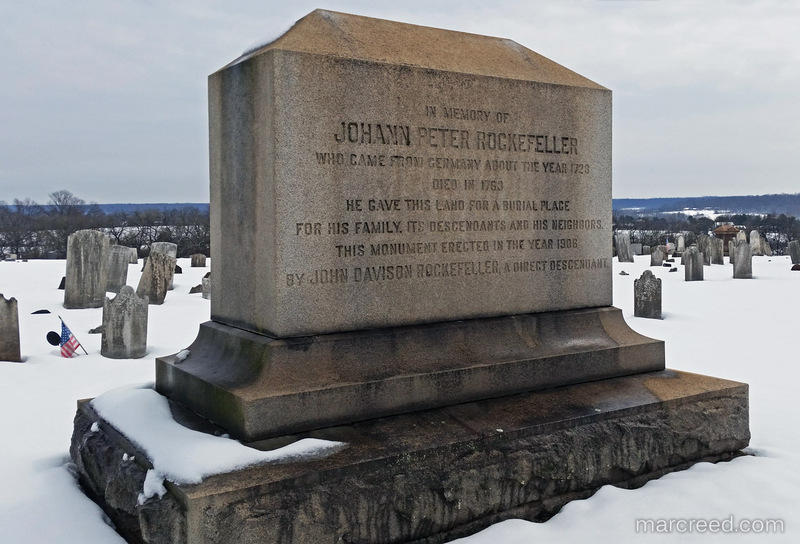 In 1906, Oil Tycoon and all around richest person in history John D. Rockefeller erected this monument to honor his ancestor Johann P. Rockefeller at a section of his ancestral farmland now known as "Amwell Ridge Cemetery". Amwell Ridge cemetery was the setting for many of the shots i used in Necropolis.